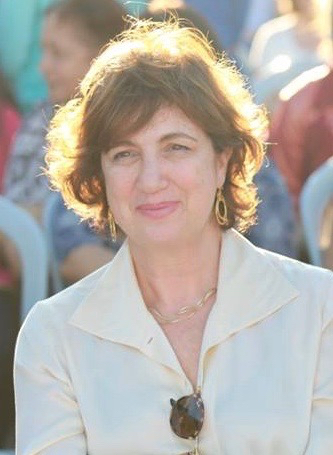 Filmlab Palestine has announced that Dr. Brigitte Boulad will be joining the team as an Executive Director. Dr. Boulad is a German national, born to an Egyptian father and a Lebanese mother. Dr. Boulad is a literature and art history specialist with a long experience in organizing cultural events on the Arab World in the United States and Europe. She holds a Ph.D. in French Literature from Georges Washington University, USA, and a Licence (BA) in Literature from the Sorbonne, France. The resume of Dr. Boulad includes working for a decade as a freelancer in the fields of Public Relations and Marketing, and as a location manager for prestigious magazines like the W Magazine, and the company Yves Saint Laurent. Dr. Boulad serves on the board of Action for Hope Organization. In addition to that, she has been working with Filmlab in an unofficial capacity since its establishment. Dr. Boulad experience will bring leadership and creativity to Filmlab’s programs on the executive and leadership levels. Moreover, her dedication to the cultural sector in Palestine will provide vital human services and cultural enrichment to our community, in addition to supporting Filmlab’s mission in boosting film production and viewership in Palestine by providing the ideal space for filmmakers. Filmlab: Palestine was founded in 2014 after a personal experience of its founders in empowering Palestinian youth in refugee camps in Jordan. Realizing that this experience introduced young practitioners to the art of filmmaking as a creative and unconventional method to tell their own personal narratives, Filmlab: Palestine was established to further document the collective Palestinian memory as well as the unique individual voices of Palestinians within the occupied territories and abroad. Our aim is to expand and cultivate the existing cinema culture within Palestine, while providing the much-needed technical and artistic support for emerging Palestinian filmmaking voices.